The problem you run into when being a foundation junkie is you have too many to use before they all go bad! It’s been a while since I’ve invested in a new bottle just because I’ve been trying to use up what I already have in my stash. So I thought to use up more product and get different finishes I can create my own little concoctions of bases. Here is the method to my madness . . . 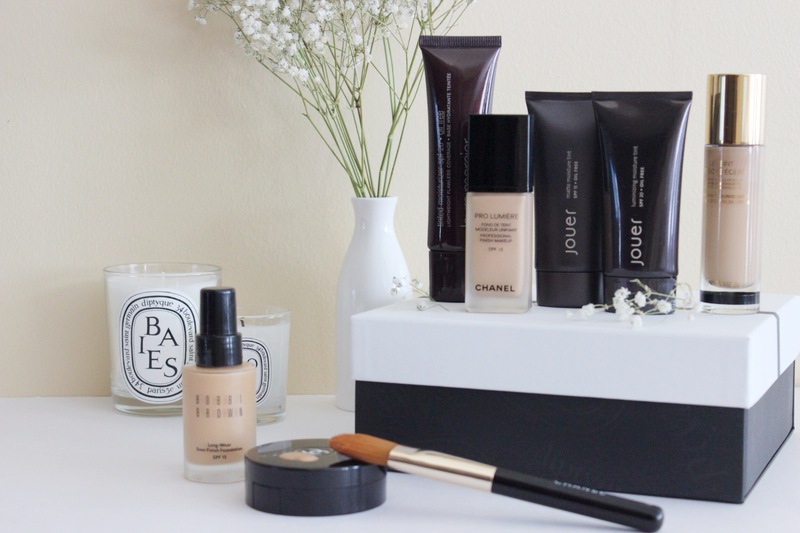 I use Bobbi Brown’s Long Wear Even Finish Foundation as the main base because it’s my HG and bit more full coverage than any of the other foundations I own. I use 1 pump of this then start adding half a pump of other foundations to change the finish. 1. BB Long Wear Even Finish + YSL Le Tient Touche Eclat : This create’s a nice dewy finish and is great if you want that healthy glowing looking skin. I had to adjust to only a 1/4 pump of the YSL because more than that will make it too oily of a finish for me. 2. 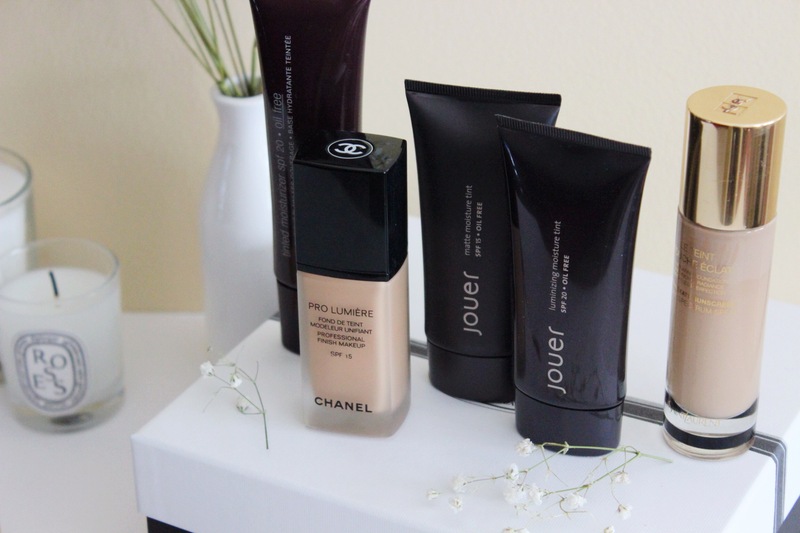 BB Long Wear Even Finish + Chanel Pro Lumiere : This is what I’m currently using and a bummer because Pro Lumiere is discontinued. 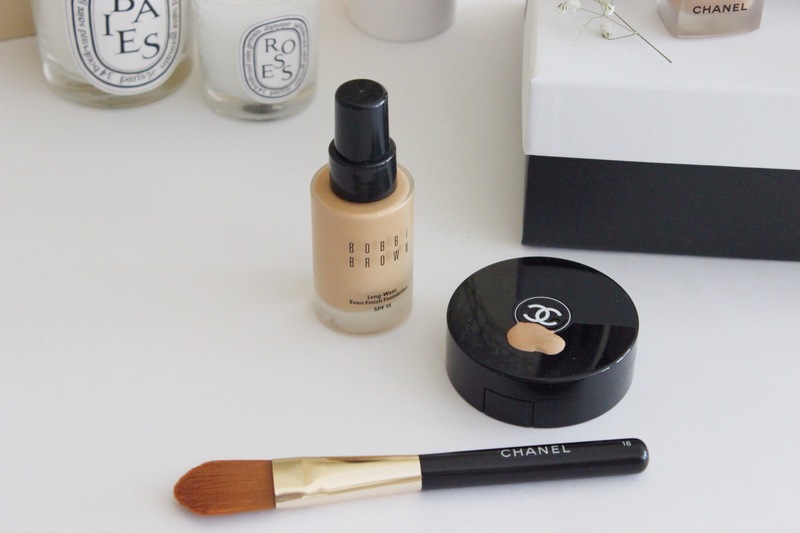 Chanel Pro Lumiere really thins the BB base out and creates a skin-like finish. I love this mix and I’ve gotten a ton of compliments on my skin as of late because of it! I set with powder because it will slip and slide. I find that it starts to look even better throughout the day as it begins to settle into the skin. 3. BB Long Wear Even Finish + Laura Mercier Tinted Moisturizer : I find that this combo feels very moisturizing on the skin. The LM gives the BB a tad more slip to it and makes it a lot easier to blend. It has a similar finish to YSL mix but less dewy. 4. Jouer Matte + Luminizing Tint : This is a newer mix that I’ve only tried twice but I thought I would mention to you anyway because who would have ever thought to mix these two together? You get the best of both worlds and all you need is equal parts of each. You get a lovely semi-matte finish when used mixed together. Sometimes I use them separately, the matte tint on the center of the face to control my oily T-zone and the luminizing tint everywhere else. This is going to be a great mix for Spring/Summer! I have officially named myself the DJ of foundations, have you tried any mixes of your own?